Founded in 1949, Indiana University's Department of Comparative Literature is one of the oldest and most comprehensive in the United States. We have pioneered developments that have helped to move the discipline beyond its origins in European literary and intellectual traditions, and, with the cooperation of colleagues in other departments and programs, we now stand at the crossroads of the humanities, providing our students with a rich and illuminating range of approaches to literary study. Distinguished Professor Emeritus Willis Barnstone's article "The Bloody History of Bible Translators" was published in the Los Angeles Review of Books. Read the article here. Applications to our graduate program are currently being accepted for Fall admission. Priority Deadline is January 15. On his 80th book and counting, Willis Barnstone joins Poets Cafe for a poetic interlude, or perhaps an etude of a rich history of encounters from Sappho to Kerouac. I know we’re all busy. I know all of the world’s distractions – some heartbreaking, others joyful. Yet here are a few moments to travel the streets of 1930’s Mexico, sail to Greece, walk the streets with Borges, if only for a little while. For those who can’t tune in next Tuesday, September 27 @ 12:30 p.m. there will be an archive. A special look at a great poet, translator, painter and scholar of our time. The Modern Languages Association has just announced the creation of the Matei Calinescu Prize for a distinguished work of scholarship in twentieth- or twenty-first-century literature and thought. The prize, which consists of a cash award and a certificate, will be presented to the winning author at the MLA's annual convention in Philadelphia in January 2017. The endowed prize has been established in honor of Matei Calinescu (1934–2009), Professor of Comparative Literature and West European Studies at Indiana University. Comparative Literature and the Polish Studies Center congratulates Bill Johnston, IU Professor of Comparative Literature, for receiving the prestigious 2016 Found in Translation Award from the Polish Cultural Institute in New York for his translation of Twelve Stations by Tomasz Różycki. The English translation of Twelve Stations (published by Zephyr Press) was actually launched at the Polish Studies Center on April 13, 2015 with a bilingual reading performed by Tomasz Różycki and Bill Johnston followed by a series of events to celebrate the accomplished author and his translator. This is the second time Bill Johnston has claimed the award. He already received it in 2008 in the first edition of Found in Translation for his rendition of Tadeusz Różewicz’s New Poems (Archipelago Press, 2007). Distinguished American poet and SOAS alumnus Willis Barnstone visits the UK to promote his first selected poetry collection for the UK. He will talk to Professor Derek Attridge of the University of York about Mexico in my Heart. The event, part of the SOAS English ‘Conversations in Bloomsbury’ series, takes place at Russell Square (Venue TBC) on 16 November, 5:30-7:30 with a reception. The event is free to all. Please register with alice@carcanet.co.uk. Mexico in my Heart includes five decades of Barnstone’s work, most recently Moonbook and Sunbook. The poems express his deep affinity with South American culture and language – Barnstone studied in Mexico in 1947 and taught in Buenos Aires in 1975-6 and author Jorge Luis Borges was one of his close friends and mentors. Professor Barnstone studied at SOAS in 1952-53. At that time T S Elliot was working in the Faber and Faber headquarters at 24 Russell Square, adjacent to the SOAS building. Though Barnstone never met Elliot he received a brief note from him. He also visited the Acropolis in Athens with the celebrated British poet Louis MacNeice. Professor Barnstone will celebrate his 88th birthday during his forthcoming visit to the UK. Willis Barnstone is one of America’s most prolific and highly regarded translators and poets. His first published poem appeared in the Anglo-French periodical Points. His first book of poems published in the United States was From This White Island, reflecting on his time on an island in Greece. He is a Guggenheim Fellow and two-time Pulitzer Prize nominee and is Distinguished Professor of Comparative Literature at Indiana University. Alexa Huang is Professor of English, Theatre and Dance, East Asian Languages and Literatures, and International Affairs at George Washington University, where she directs the Dean’s Scholars in Shakespeare program, and co-founded and co-directs the Digital Humanities Institute. This past year, she was the Fulbright Distinguished Chair in Global Shakespeare studies at Queen Mary University of London and University of Warwick (2014-2015). Professor Eileen Julien and a team of faculty collaborators from three universities have received a National Endowment for the Humanities grant of nearly $200,000 for a summer institute in 2016 entitled "Arts of Survival: Recasting Lives in African Cities." Professor Oana Panaïté, also in our department, is a collaborator on this important enrichment opportunity for twenty-five college and university professors. The other team members are Professors James Ogude (Research Fellow, University of Pretoria, South Africa), Akin Adesokan (Department of Comparative Literature and the Media School, IUB), and Grace Musila (English, University of Stellenbosch, South Africa). The Department congratulates Professor Julien and her team for this prestigious award! View a complete list of NEH grants awarded this summer. Come to a brief talk, poetry reading and book launch of the first paperback edition!!! 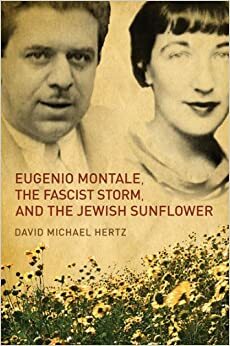 Eugenio Montale, the Fascist Storm, and the Jewish Sunflower uncovers one of the great hidden sagas of modern literature. During Italy’s fascist period, Eugenio Montale – winner of the 1975 Nobel Prize in Literature and one of the greatest modern poets in any language – fell in love with Irma Brandeis, a glamorous and beautiful Dante scholar and an American Jew. While their romance would fall apart, it would have literary repercussions that extended throughout the poet’s career: Montale’s works abound with secret codes that speak to a lost lover and muse. This study is the first to completely unlock the cryptic thematic link that connects many of Montale’s most important poems. Author David Michael Hertz is professor and chair of Comparative Literature at Indiana University, Bloomington. Since 1981, the Northern California Book Reviewers (formerly BABRA), a volunteer group of book reviewers and book review editors, has honored the work of Northern California authors. One of the group's founders was Fred Cody, proprietor of the famed independent bookstores in Berkeley. Shortly after his death, the group created an award in his name to honor a lifetime of achievements and distinguished service to the literary community. This year's Fred Cody Award for lifetime achievement will be presented to a respected member of the literary community. Previous recipients include Diane di Prima, Orville Schell, Philip Levine, Ronald Takaki, Francisco X. Alarcon, Carolyn Kizer, Ishmael Reed, Maxine Hong Kingston, Robert Hass, Lawrence Ferlinghetti, Malcom Margolin, Adrienne Rich, Wallace Stegner, Kay Boyle, William Everson, Alice Walker, Gary Snyder, Jessica Mitford, Tillie Olson, M.F.K. Fisher, and Robert Duncan. A missed connection is an attempt to reach out to a stranger whom one has encountered in the past, often with the hope of establishing an emotional or physical contact. At its core is a search for a new beginning or, at least, the potential of a closure. Literature offers countless examples of missed connections: desperate lovers and failed revenge, comedies of errors and Kafkaesque scenarios, cultural gaps, open endings and unfinished novels. These unfulfilled encounters are never concretized, yet they can be sources of inspiration for writers for whom absence is a productive condition. In media today, missed connections are manifestations of society’s struggles with language and failures of communication. Different forms of ads, online or in newspapers, offer the opportunity to amend the loss of an initial personal contact by mediating desires through a third party entity. The phrase ‘missed connections’ thus embodies a paradox because it contains both an original unfulfilled communication and the potential remedy for this absence through textualization. In a world where communication is facilitated through mediation, what kind of connection is missed and what kind is re-created? This conference seeks to provide allegorical understandings of the concept within culture. We want to start from the initial paradox of the missed connection as simultaneous presence and absence to investigate the interactions between the norms and the margins. In this global world, how do we negotiate our identities in the structures of language and society? Comparative Literature has always been the third party that connects texts and cultures together across time, space, and language, thus destabilizing notions of cultural hegemony, canons and authorship. We want to encourage interdisciplinary and global approaches to the field of Comparative Literature. We welcome proposals from a variety of disciplines including, but not limited to: Literary Studies, Film and Media Studies, Gender Studies, Translation Studies, Jewish Studies, Linguistics, Critical Race Studies, Religious Studies, Ethnic Studies, and Cognitive Science. 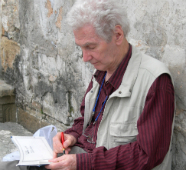 The winner of Transatlantyk Prize for 2014 was named Bill Johnston, an outstanding translator of Polish literature into English, an ambassador for Polish culture and language, and a professor of comparative literature at Indiana University in the USA, where he directed the Polish Studies Center for many years. The sum of his translations covers several dozen works and is impressive indeed: Johnston has translated early Polish literature (The Envoys by Jan Kochanowski), the Romantics (Słowacki's Balladina), realist writers of the late 19th century (Żeromski's Coming Spring and The Faithful River, Prus's The Sins of Childhood), and many of the 20th-century classics, above all Gombrowicz (Bacacay and Polish Memories), the short stories of Herling-Grudziński, the novels of Szczypiorski, and the poetry of Baczyński and Różewicz. The award ceremony took place on 12 June at Collegium Maius of the Jagiellonian University in Krakow. The award is 10,000 euro and a statuette by Łukasz Kieferling. The Transatlantyk is a Book Institute Award for outstanding ambassadors of Polish literature abroad. Its aim is to promote Polish literature in the world, and to integrate the communities of those working to promote Polish literature (translators, literary critics, literary historians, cultural animators). May 2014 Undergraduate Miranda Caudell wins Palmer-Brandon Prize! Dramatic Experiments offers a comprehensive study of Denis Diderot, one of the key figures of European modernity. Diderot was a French Enlightenment philosopher, dramatist, art critic, and editor of the first major modern encyclopedia. He is known for having made lasting contributions to a number of fields, but his body of work is considered too dispersed and multiform to be unified. Eyal Peretz locates the unity of Diderot’s thinking in his complication of two concepts in modern philosophy: drama and the image. Diderot’s philosophical theater challenged the work of Plato and Aristotle, inaugurating a line of drama theorists that culminated in the twentieth century with Bertolt Brecht and Antonin Artaud. His interest in the artistic image turned him into the first great modern theorist of painting and perhaps the most influential art critic of modernity. With these innovations, Diderot provokes a rethinking of major philosophical problems relating to life, the senses, history, and appearance and reality, and more broadly a rethinking of the relation between philosophy and the arts. Peretz shows Diderot to be a radical thinker well ahead of his time, whose philosophical effort bears comparison to projects such as Gilles Deleuze’s transcendental empiricism, Martin Heidegger’s fundamental ontology, Jacques Derrida’s deconstruction, and Jacques Lacan’s psychoanalysis.